Due to Monday the 31st of May being a Bank Holiday in the UK there are no Royal Mail deliveries or collections on this day. Any mail received after our cut off time of 4pm on Friday the 28th of May will be sent on the next available working day which is Tuesday the 1st of June. This applies to all mail including mail sent using Special Next Day Delivery. 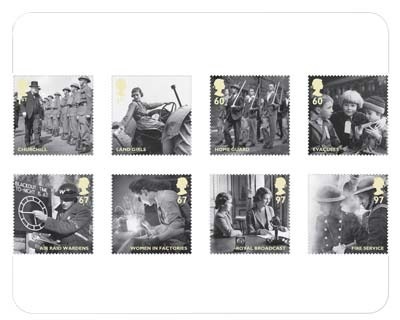 Royal Mail have launched some new stamps to celebrate the war effort of 1940's Britain. The stamps called Britain Alone are dedicated to all the people that came together to do their bit for the war effort. The first class stamp features Sir Winston Churchill, the 67p stamps features air raid wardens. 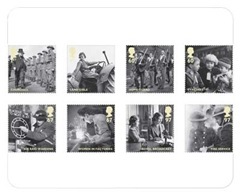 The Home Guard are celebrated on the 60p stamp. Land Girls, women in factories, the fire service, the Royal broadcast and evacuees make up the rest of the set. The stamps were released on the 13th of May. According to this article the recent change in government will mean that plans for a new runway at Heathrow will be scrapped. It looked at though the new runway would have gone ahead under the Labour government with Gordon Brown saying it was needed for economic reasons. Councils, residents and green groups has all opposed the expansion and it seems the new coalition government agrees with them. It has cancelled the plans for the new runway as part of a joint Conservative Liberal Democrat policy agreement. The new government has also said it will refuse any plans for new runways at Gatwick and Stansted. It is not yet clear whether there will be alternative plans to increase the capacity of Britain's airports but the Conservatives are thought be considering the option of a high speed rail link to and from Heathrow.